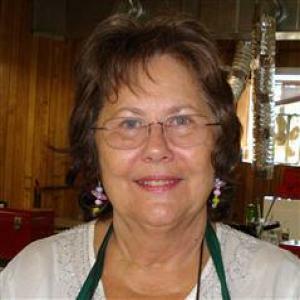 Judy has had a lifelong affair with the arts and started taking classes at William Holland in 2000. In 2004 she started teaching wire wrap and glass beads. 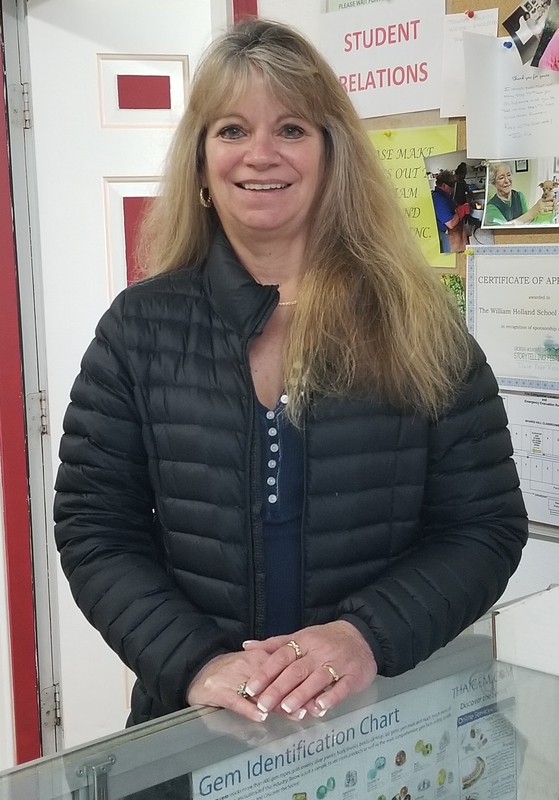 After Suzanne's retirement in 2017 and having a degree in office administration she stepped in as Administrator of William Holland and has overseen the many renovations and current growth of our school. Charlie better known as "Grizzly" is undoubtedly William Holland's "MOST WANTED!" It is not uncommon to hear "Where is Charlie" or "I need Charlie" throughout every day during school hours. Charlie is a native and lifelong resident of Hayesville, NC. He came to William Holland in April 2016 with a background in heavy construction. 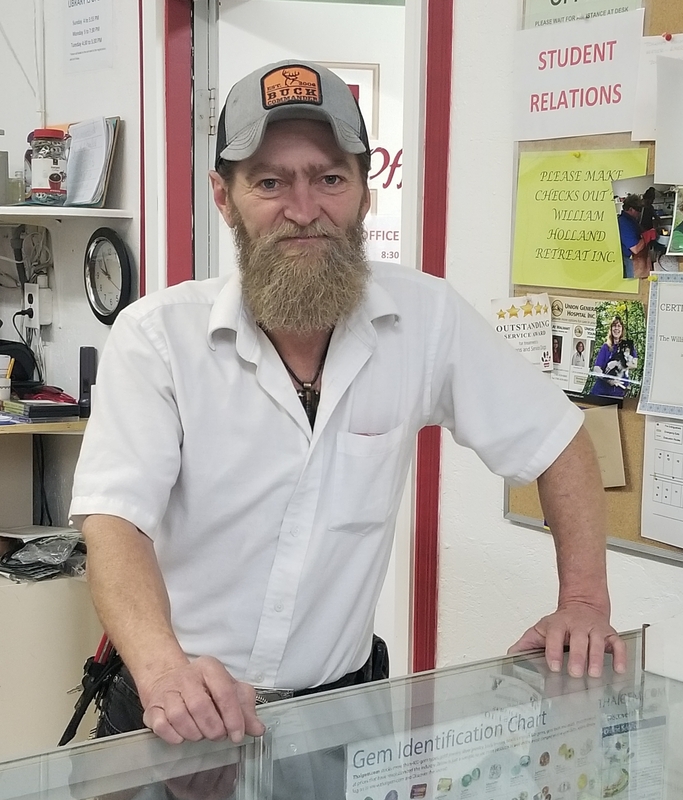 He works during the school season making all necessary repairs to the machines and equipment so the classes run smoothly. If anything goes wrong, Charlie is the one who can and will be called upon to repair the issue. He also makes all room, building, and grounds repairs and upkeep. During the offseason, Charlie can be found renovating and repairing the school so it is ready to open the next Spring season. Sandi and her husband moved to the N.E. Ga mtns in 2004 from South Florida where they owned their own embroidery & screen printing business for 15 years. 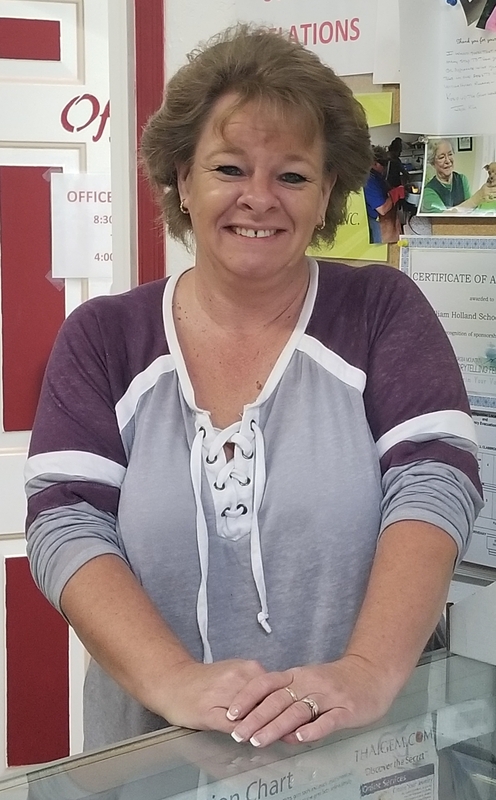 She started with William Holland in September 2017 at the front desk and has since become our invaluable Registrar. She helps countless people with everything from the registration process to answering any questions she can about classes and lodging, etc. You will always find Sandi willing to help and answer all your questions with a smile! Stacy moved to the N.E. Ga mtns in 1989 and now enjoys living in Cleveland, Ga with her sons. Growing up in the family mining business combined with her love of gems, minerals and jewelry makes William Holland feel like her second home. Stacy does the Bookkeeping but also lends a helping hand wherever she may be needed. Angie is a native & lifelong resident of Hayesville, NC. 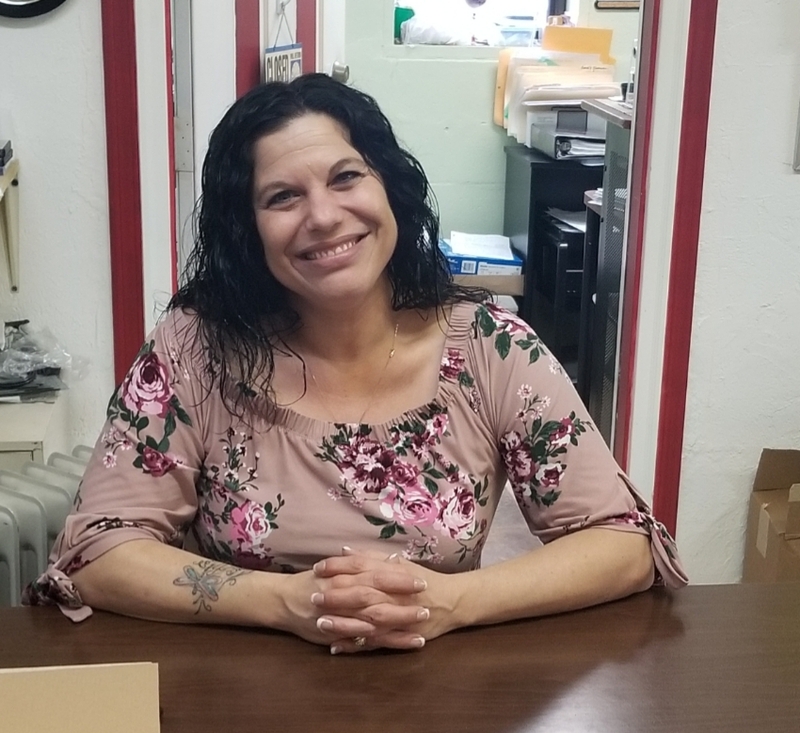 Her familiar face has been welcoming people at William Holland for years as she has always gone out of her way to make sure everyone's personal needs are met with a smile! Since 2011 she has served as the Cook's Helper and also as Head Cook. This year we are excited to have her in a new capacity at the front desk as Administrative Assistant. When she's not busy working you will find Angie spending time with her family and especially her adorable granddaughter, Zoey.